.. we are just two years away from the first census block level data from Census 2020. The initial block level data will be the P.L. 94-171 redistricting data. But before that, the initial Census 2020 TIGER/Line shapefiles/GIS files, the geography, will become available in November 2020, maybe earlier. Stakeholders will be able to see how block and tract codes and geography have changed in many areas since 2010. The prototype P.L. 94-171 data (see final file layout and subject matter items) are expected in the last week of March 2019 and will cover the Providence County, RI area. This post shows illustrative views and related details about the area. The Census 2020 P.L. 94-171 program and plans are reviewed in this Federal Register notice. The applications/views shown below have been developed using the ProximityOne CV XE GIS software and related GIS project. 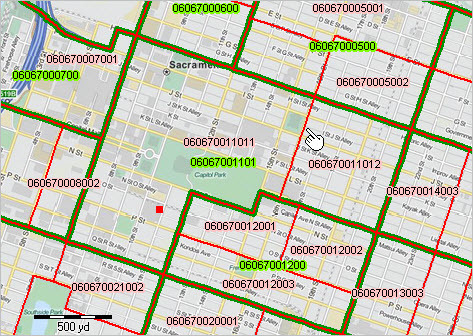 ProximityOne operates a comprehensive Census 2020 Data Access and Use Program providing tools to integrate and analyze these data with other data for redistricting, planning, evaluation, management, general analysis and policy-related applications. Contact us for more information; mention Census 2020 Data Access and Use Program in text section. The Census 2020 P.L. 94-171 prototype covers Providence County, RI, part of the Providence-Warwick, RI-MA MSA (39300) — see Situation& Outlook report. Providence County is shown with cross-hatch pattern in the following graphic. The next graphic shows a zoom-in to the county with cities/places shown with green fill pattern. The next graphic shows patterns of economic prosperity for the county based on ACS 2017 median household income by census tract — blue, higher and red, lower. The next graphic shows Census 2010 blocks for the county. Demographics described in the P.L. 94-171 file described about will be provided at the census block level. Census block boundaries are primarily defined by roads. Providence County roads are shown in the next view. The next view shows a zoom-in to the downtown Providence city area. 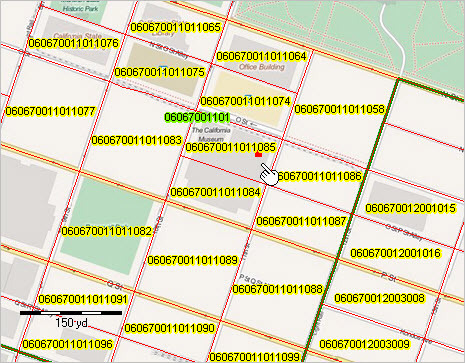 Census blocks are shown with red boundaries and labeled with the 15-character U.S. national scope unique census block code. The pointer is located in census block 440070012001001, or 44-007-001200-1001, expressed as SS-CCC_TTTTTT-BBBB. Access these Census 2010 data (an example) using the Census FactFinder tool via this link. This is the “P1 RACE” table. The Census 2010 population of the block was 598. This census block is one of 13,597 Census 2010 census blocks comprising Providence County. Rhode Island 116th Congressional Districts 01 and 02 (labeled) split Providence city (cross-hatch pattern) as shown in the graphic below. Pointer shows CD boundary. Similar to above, the graphic below shows census blocks in context of Providence city (bold green boundary) and CDs 01 and 02. This section provides a geographic orientation the Census 2020 P.L. 94-171 prototype area. A subsequent post (March 2019) will extend on this post with Census 2020 P.L. 94-171 data and related details. Use the downloadable project and software to examine geodemographics and redistricting operations. See these applications live/demoed. Run the applications on your own computer. .. Welcome to 2019 .. how the U.S., states and world population are changing … the Census Bureau estimates the U.S. population is 328,231,337 as of January 1, 2019. This represents an increase of 2,013,241, or 0.62 percent, from New Year’s Day 2018 (326,218,096). The population as of Census Day (April 1) 2010, was 308,745,538 and has grown by 19,485,799, or 6.31 percent. This section updates January 2020, with corresponding 2019 updates and additional details. Follow (click follow button at upper right) to receive updates on this and geographic, demographic and economic change with drill-down to the street intersection level. In January 2019, the U.S. is expected to experience one birth every 8 seconds and one death every 11 seconds. Meanwhile, net international migration is expected to add one person to the U.S. population every 29 seconds. The combination of births, deaths and net international migration will increase the U.S. population by one person every 19 seconds … one net international migrant every 34 seconds. The world population on January 1, 2019 is estimated to be 7,541,221,651. The world has experienced a population increase of 96,777,770, or 1.3 percent, from New Year’s Day 2018 (population 7,444,443,881). During January 2019, 4.8 births and 1.9 deaths are expected worldwide every second. The following graphic shows patterns of percent population change from 2010 to 2018. 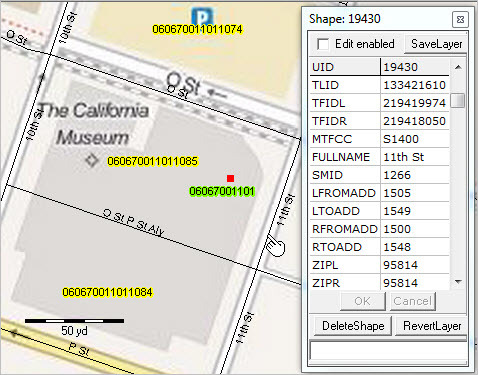 Use the associated GIS project to examine different years or subject matter items. Click graphic for larger view; expand browser window for best quality view. The following graphic shows how the population of the U.S. has changed from 2010 to 2018 and how the population might change 2019 through 2020. Click graphic for larger view; opens in new page. The population is as of July 1 for each year. The components of change (birth, deaths and migration) are for the period July 1 through June 30 for that year. Viewing the larger image, see how each of the components of change are impacting the total population and population change. … see more detail about these data for the U.S. and by state at http://proximityone.com/states2018.htm. .. Congressional Apportionment by State .. 2010 & projected 2020 state by state congressional seats. What will the results of Census 2020 tell us us about how the House of Representatives will be reapportioned, state by state? This section examines scenarios which might occur based on state population projections. See related Web section http://proximityone.com/apportionment.htm for more detail and interactive table. .. use in classroom .. research .. reference .. collaboration. The 2020 population projections reflect anticipated change under one scenario. Those values are then used in the CV XE GIS reapportionment operation to compute the number of House seats shown in the related table. – view created with CV XE GIS. Click graphic for larger view with more detail. Congressional apportionment is the process of dividing the 435 memberships, or seats, in the House of Representatives among the 50 states based on the population figures collected during the decennial census. The number of seats in the House has grown with the country. Congress sets the number in law and increased the number to 435 in 1913. The Constitution set the number of representatives at 65 from 1787 until the first Census of 1790, when it was increased to 105 members. More about apportionment. Initial Census 2020 demographic data, the apportionment data, will be released by December 31, 2020. See related Census 2010 Apportionments. Apportionment totals were calculated by a congressionally defined formula, in accordance with Title 2 of the U.S. Code, to divide among the states the 435 seats in the U.S. House of Representatives. The apportionment population consists of the resident population of the 50 states, plus the overseas military and federal civilian employees and their dependents living with them who could be allocated to a state. Each member of the House represents, on average, about 710,767 people for Census 2010. The following graphic illustrates use of the 2010 & 2020 apportionment by state and historical apportionment 1910 to 2010. Sort on any column; compare apportionment patterns over time. Click graphic for larger view. Use the interactive table at http://proximityone.com/apportionment.htm#table. Join the CDSLD Group (http://proximityone.com/cdsld.htm), a forum intended for individuals interested in accessing and using geodemographic data and analytical tools relating to voting districts, congressional districts & state legislative districts and related geography with drill-down to intersection/street segment and census block level. Receive updates on topics like that of this section. Census tracts, block groups and blocks are the important small area statistical geographic areas for which data from Census 2010 are tabulated. Data for census tracts and block groups are also tabulated annually from the American Community Survey. For example. in December 2018, we will have new “richer demographics” annual estimates centric to each year 2008 through 2015 for Census 2010 tracts and block groups … data such as educational attainment, language spoken, housing and household characteristics, income characteristics and employment and other demographic-economic attributes. The following graphic shows the NYC Census 2010 census block having the largest Census 2010 population that is not a group quarters population block. The Lincoln Center census block shown in the graphic (red boundary) has 4,067 population and 2,922 housing units. This block (36 061 015500 6000) occupies 0.033 square miles. It has a population density of 122,333 (population per square mile). The NYC block with the largest population is on Rikers Island and has a group quarters population of 8,634 and 0 housing units. For Census 2010, there were 350,169 census blocks covering the state of New York; 13,356 census blocks were water blocks. For the State of New York, as of Census 2010 the average census block population was 55 (57 excluding water blocks). These geographies have generally stable geographic areas and codes from one decennial census (e.g., Census 2010) to the next (e.g., Census 2020). Many of these areas will change in terms of code and area for Census 2020, though the geographic changes will typically be small or not at all. Census 2020 block, block group and tract codes and geometry will be available in late 2020. Initial block level demographics will be available in March 2021. Each of these pages provides an interactive table to view tallies of Census 2010 for each of these small area geographies. 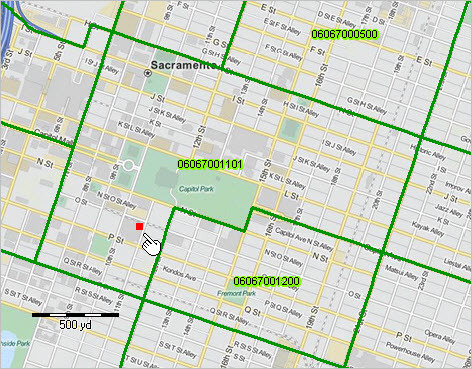 The address of the Office of the California Secretary of State, located at 1500 11th St, Sacramento, CA 95814, was geocoded using the APIGeocoder and converted into a shapefile for Geographic Information System applications. The location is shown as a red marker in the map views shown below, illustrating each type of small area geography: tracts. block groups and blocks. Tracts are labeled with green tract codes. Address 1500 11th St, Sacramento, CA 95814 is shown by red marker. The address is in tract 06067001101. View created using CV XE GIS. Block groups are labeled with red block group codes. Tract 06067001101 is comprised of block groups: 060670011011 and 060670011012. See pointer in map view; the block group within tract boundary. Blocks are labeled with yellow block codes. The address is located in block 060670011011085. Streets are labeled with street names. Identify tool is used to show mini-profile for 1500 block of 11th Street. Is the tract code 11.01 or 001101? Both. Census tracts within a county are identified by a 4-digit basic code between 0001 and 9999, and may have a 2-digit suffix ranging from .01 to .98; for example, 6059.02. The decimal point separating the 4-digit basic tract code from the 2-digit suffix is shown in Census Bureau printed reports and maps. For geo-referencing, the decimal point is implied and does not appear; the 6-character tract code with lead zeroes is used — a character string with no blanks and all numbers. There are several ways these geographies can be used. • The geocodes are the “handles” to access demographic-economic statistical data. 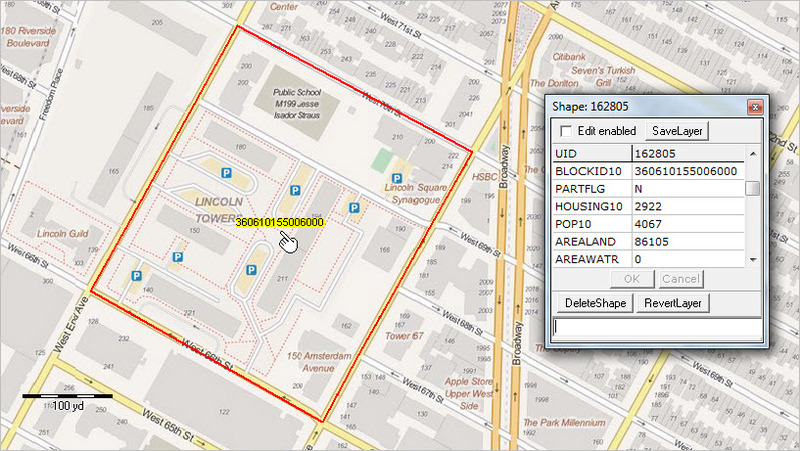 • The geographies may be visually, geospatially, related as shapefiles. .. the Census Bureau makes these shapefiles available for use in user appications. .. the shapefiles typically do not include demographic-economic data. Alternatively use the Census Bureau APIs or CV XE GIS APIGateway. .. how do census blocks relate to congressional district? redistricting? .. how can I map census block demographics? Join me in a Data Analytics Web Session, every Tuesday, where we review access to and use of data, tools and methods relating to GeoStatistical Data Analytics Learning. We review current topical issues and data — and how you can access/use tools/data to meet your needs/interests. Warren Glimpse is former senior Census Bureau statistician responsible for innovative data access and use operations. He is also the former associate director of the U.S. Office of Federal Statistical Policy and Standards for data access and use. He has more than 20 years of experience in the private sector developing data resources and tools for integration and analysis of geographic, demographic, economic and business data. Contact Warren. Join Warren on LinkedIn. .. most states will not have new redistricting plans until after Census 2020. Redistricting is the process of developing a redistricting plan for 2 or more areas (districts) disjoint and contiguous that are contained within the collective area of all districts based on some criteria. Redistricting is perhaps most familiar with regard to congressional districts and state legislative districts based on a set of demographic characteristics … but may apply to many other types of geographies. This post briefly reviews the Census 2020 & Redistricting Program. The following views show Pennsylvania 115th Congressional Districts in their gerrymandered configuration (old) and the redrawn configuration (February 2018, new). Counties shown with light gray boundary. Click graphic for larger view. Expand browser window for best quality view. The ProximityOne Census 2020 & Redistricting Program enables participants to engage now in preparation for redistricting based on Census 2020. Use resources and processes provided by ProximityOne and the Congressional Districts/State Legislative Districts Group (CDSLD) .. participate in hands-on redistricting for your areas of interest. We start now using Census 2010 redistricting data, current congressional districts and state legislative districts, and related data/tools. Progressively, we move toward accessing the live Census 2020 redistricting data (March 2021). There is no cost to participate. See more about the Census 2020 & Redistricting Program at http://proximityone.com/cen2020_redistricting.htm. Join the CDSLD Group via this form to receive updates on the program and begin participation. Join me in a Data Analytics Web Session, every Tuesday, where we review access to and use of data, tools and methods relating to the Census 2020 redistricting Program. We review current topical issues and data — and how you can access/use tools/data to meet your needs/interests. .. to examine how and why state demographics are changing, we look at the state as the sum of its parts — counties. Here we review tools and data to examine how and why state/county population is changing … is the population moving away or into your areas of interest? What are the trends; what is causing the change? what are the characteristics of the population moving in and out? How might this impact your living environment and business? See related Web section for more detail on topics covered here and access interactive table. The following graphic shows how counties have gained population (blue and green) and lost population (orange and red) during the period 2010 to 2017. Click graphic for larger view; expand browser window for best quality view. The above graphic provides a visual summary of how and why demographics are changing from 2010 to 2017 in terms of components of change: births, deaths and migration. See the underlying data in this interactive table. Change in the population from births and deaths is often combined and referred to as natural increase/change. The other way an area population changes is through migration (net international, net domestic, net migration). Examining an area’s unique combination of natural change and migration provides insights into why its population is changing and how quickly the change is occurring. Join me in a Situation & Outlook Briefing Session, every Tuesday, where we review the where, what, how, and when of demographic-economic-business change – and how change might impact you. We review current topical issues and data — and how you can access/use tools/data to meet your needs/interests. .. sharing updates on developments about and within the Federal Statistical System (http://proximityone.com/fss.htm). Today I attended a briefing by Nancy Potok, U.S. Chief Statistician (part of OMB OIRA) at the American Statistical Association offices. The session was coordinated by the Council of Professional Associations on Federal Statistics (COPAFS). 1. Will the Federal government shutdown on January 19, 2018, due to a budget impasse? As of now, there seems to be a 50-50 consensus likelihood. 2. In the spring of 2018, there might be a far-reaching Federal government reorganization plan released by OMB. While there are no details on this, it may well be that certain Federal statistical agencies will be reorganized. This follows more than a year of processing recommendations suggested by individual agencies. Right now, it is not clear if this will be focused on Federal statistical and information-related operations or something broader. 3. It is expected that the 2018 Federal budget, thus including the 13 primary Federal statistical agencies, will be released in early February. Much of the 2019 Federal budget is also completed, though many important details remain. 4. The widely publicized possible addition of a citizenship question to 2020 census questionnaire was discussed. OMB approves the addition or deletion of all questions on Federal government information collection forms. See USATODAY editorial comments today, consistent with my opinion. The merit to the argument to add the citizenship question, if there is one, is that while block group level tabulations of citizenship status from the American Community Survey are available and updated annually, these are subject to sampling error and other errors of estimation, they are not tabulated at the census block level, they are estimates for respondents over a five year period, and they will lag the 2020 census data (first release March 31, 2021) with ACS 2018 estimates (centric to mid-2016) released in December 2020. Key facts are that 1) at there is no Federal government agency requirement for citizenship by block data, 2) a citizenship question definitely imperil the quality of the Census 2020 results, 3) block group level data are sufficient for any reasonable need, 4) the cost of adding the question would be huge in an already underfunded census. The next planned Federal Statistical System update will be in March followed by an update in April. We might move to a recurring monthly update.